Ever on the lookout for new crime writers, somehow I found my way to Jérémie Guez. 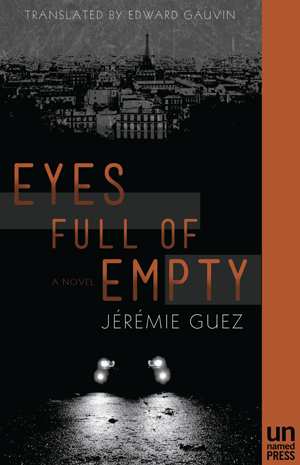 Eyes Full of Empty is the third in his "Parisian Trilogy." I will skip my customary rant about translations not beginning with the first in series, but well, I'm still thinking it. This novel is dark, and I do mean dark, sort of a noirish thriller that plays out in the streets of Paris. Before anyone says "I thought you don't do thrillers," let me say that there is a huge difference between the same old same old poorly-written action-packed crap and a novel like this one, which is intelligent, well written and one that above all, made me wonder once again who the true criminals in any society actually are. This is not also not the average crime novel set in Paris that celebrates the finer things about the City of Light -- most of the action in this book takes place in a Paris where much of life happens in darkness and shadow. The main character is Idir, who had been sent to prison and who had served six months. After he got out, some ten years before the present story begins, his father, a prominent physician, had wanted him to come home and "rebuild" his life, but Idir realized he just couldn't do it. Now he works as a sort of PI, where he often takes on some pretty shady jobs for the wealthy, allowing them to keep their own hands clean. As the novel opens, he's with Oscar Crumley, the very person who'd put him in prison all those years ago after Idir was hired to cave his face in. Idir needs the money ("It lets me pick up some produce and eat something besides Tuna Helper") although he really wants to destroy Crumley, "just for kicks, because I feel like it and still can." Crumley wants to hire him to find his missing brother, 22 year-old Thibault. But things are about to get strange. Idir's best friend Thomas is obsessed with the idea that his wife is cheating on him and Thomas' dad wants his very expensive stolen car recovered. As Idir starts looking into all of these cases, he starts to get the feeling, and rightfully so as it turns out, that something is just very, very wrong here. Ultimately, he will find himself in a position of having to balance loyalties while trying to get to the truth. Idir is an interesting character. He's a different sort of self-styled investigator, one who comes from privilege, who went to the best schools, and yet he is someone who is also very much at home on the streets. He comes from a family of Algerian immigrants, with a grandmother who still bears Berber tattoos whose presence "protect her family from the evil eye and mourn her deceased husband" and a father who is a prominent physician. Family gatherings are difficult for him -- he doesn't feel as though he fits in, since his presence seems to make everyone "uneasy." Another thing about Idir is that he suffers from "mysterious crying jags," which can occur at any time, "disconnected from the reality of the moment." He had, prior to prison, worked as a "basic fixer," mostly "doing people favors they were too embarrassed to handle." Now he describes his work as following women "for jealous men," watching over kids for their parents, and sometimes threatening people if he has to. He has friends everywhere in Paris, and has built a solid network of people he trusts and upon whom he relies when needed. He is torn, "a depressive," world weary at his young age, looking for meaning in his life, and somehow hopes to find his own place in the universe. Eyes Full of Empty is not only dark, but rather bleak. Guez writes with a pessimism that is real; the novel is sharp and very powerful. It is in large part a social commentary on the "economic elite" - not so much in terms of money, but power. It is also an atmospheric story that grabs hold from the first page and doesn't let go -- just my kind of book. I'm hoping the other two novels will be translated soon -- when they are, I'll have my finger on the buy button. Nancy, another stunning review; you are so very talented and I am beyond impressed with your perceptions and manner of reading, examining and expressing your insights. Another one I wouldn't mind reading. Thank you so much. 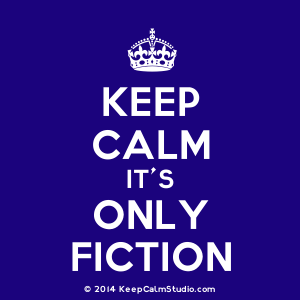 I'm happy just to read and post. Not a review -- those are for the pros. More of a reaction, what did I think sort of thing. I have been reading the Smiley books by le Carre, which are dark and bleak and depressing (but I liked reading them all). So I don't think I will try this one right now. Maybe after the other two are translated. The story does sound interesting. I love the Smiley novels. Outstanding.